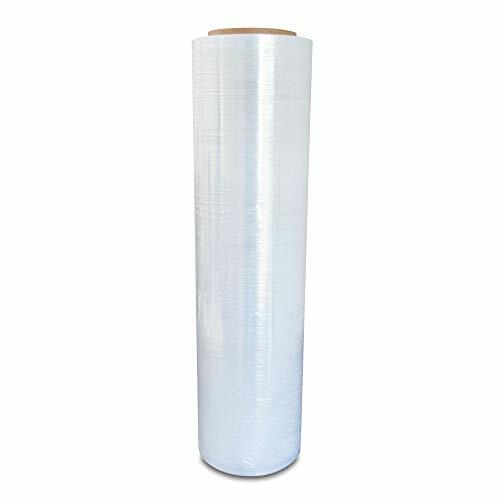 Pack Of America Industrial Stretch Film (18" x 1100 Foot 3" Core) - 1 Roll 80 Gauge Shrink Wrap, Clear.  OUTSTANDING INDUSTRIAL PACKING FILM - Looking for strong HIGH-QUALITY packing film that does its job? You are in the right place. Our Packing Film is made of the finest materials to tolerate more and be 100% reliable for your needs. Try it now RISK-FREE with our Money Back Guarantee. The product measures 18" x 1100 Foot, 3" Core, 80 Gauge, 1 Pack/Roll.